How to find audio and video using various tools. 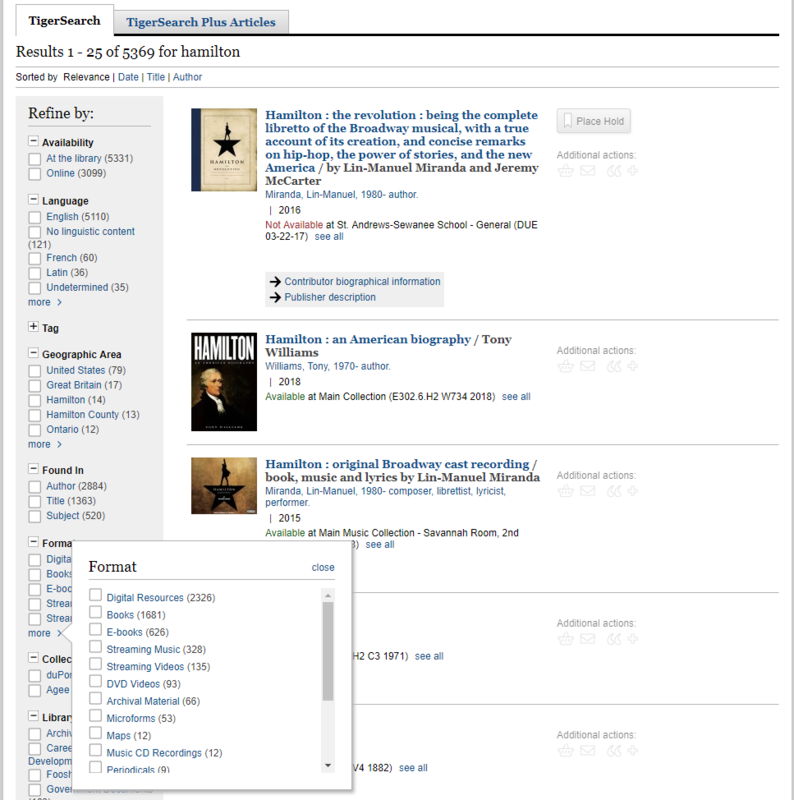 You can find all of our physical media (CDs and DVDs) and many of our streaming audio and video titles in TigerSearch. Search by title, author (composer, director, performer), or subject or keyword. Once you retrieve results, you can limit by the media type you are looking for by using the facets in the left column. 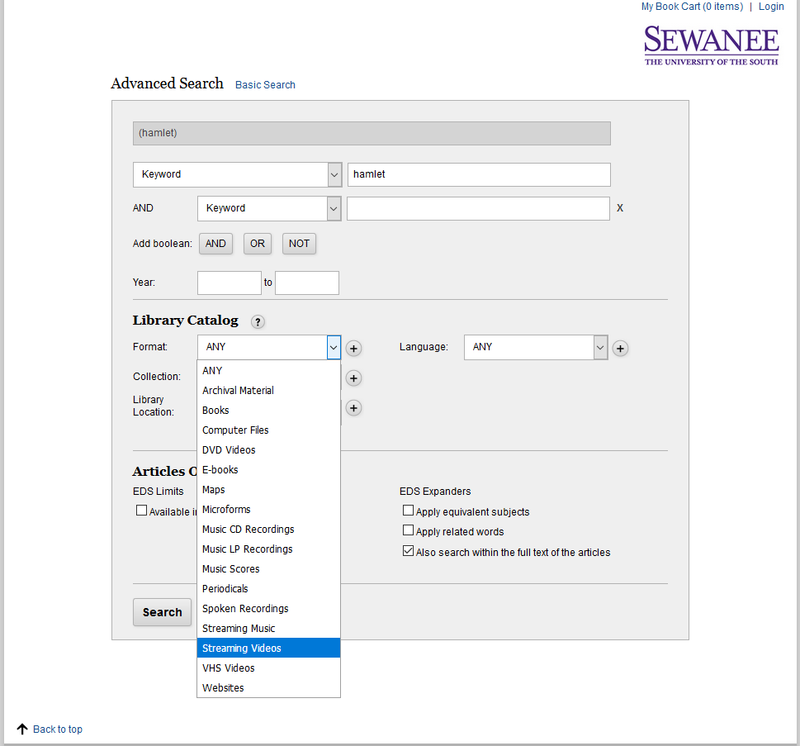 Or, use the Advanced Search and choose your media format before you search.